Have you heard about essential oils, but feel completely overwhelmed on how to start using them? You want to proactively improve the health of your family, but are unsure how essential oils can naturally help. I know that feeling! What helped me was identifying my top three priorities to focus on. For me this was: Hormone balance and support, immune system support, and natural cleaning (home and personal) solutions. If you are interested in using natural, holistic methods of supporting your personal and home health, you will love how essential oils can be simply incorporated into your everyday. Essential oils are derived from plants. These naturally occurring aromatic compounds give plants their unique smells and are found in nearly all parts of the plant; root, stem, seeds, roots, flowers, etc. Over 3,000 types of these compounds have been identified to date, and it’s their intricate combinations that determine each oils’ scent and benefits. Essential oils have been used for millennia as a natural way to enhance many aspects of daily life in a natural way. Typical uses include, cleaning, cooking, skincare, and supporting both mental and physical needs of the body. First, it’s important to understand that to experience the full therapeutic benefits of essential oils, they must be tested and certified as potent, pure, genuine, and authentic. These terms are important in measuring the quality of oils. When oils are sourced, the soil of origin and terrain are significant. Fields treated with harsh chemicals, and a distillation process that uses toxic solvents, effect the purity and potency of the essential oil. Essential oils fall into a bit of a gray area with regulations. Much like supplements, essential oils are not strictly regulated by the FDA, but this isn’t to say it’s the wild west! Since there is no set quality standard for essential oils, dōTERRA created their own to certify their oils have zero added fillers, synthetic ingredients, or harmful contaminants. Before dōTERRA’s Certified Pure Therapeutic Grade (CPTG) testing system even begins, proper practices of harvesting and distillation are ensured by relying on expert botanists, chemists, and wellness practitioners. Quality oils start with quality plants – those growing in the most favorable environment – which dōTERRA ensures by utilizing their exclusive network of harvesters and growers across the world. Immediately after the distillation process, the CPTG testing begins where each oil is assessed for it’s chemical composition. This is followed by a second review at the production facility to ensure the oil tested is the same one received, and a third assessment of the oil is conducted in a three-phase battery as they are packaged into what consumers purchase and use in their homes. For more detail on each of these tests, visit this page. And for complete transparency on dōTERRA essential oils and purity standards, click here. There are 3 ways to use your essential oils; aromatically, topically, and internally. The aromas from essential oils can elicit powerful mental, physiologic, and emotional responses when the molecules of the oils send messages to the brain through the olfactory system. The simplest way to use your oils aromatically is by opening the bottle and breathing in the scent. This is called direct inhalation. The other popular way – and my most used! – is through a diffuser. Diffusing essential oils is beneficial for affecting mood, changing the aroma of a space (goodbye dangerous candles! ), and killing airborne pathogens. I have two diffusers; one for my bedroom, and one for my at-home office. I love diffusing lavender in the bedroom which helps to relax and soothe. In my office I love using peppermint and wild orange to help me focus and stay alert. There are so many fun combinations to play with to enhance your mood or simply for a delightful scent to come home to! Using your oils topically hosts a huge variety of benefits with many ways and places to apply them. The oils are fat-soluble and rapidly absorbed into the bloodstream which is another reason using quality oils is so important, and while high quality oils can be used “neat” (applying directly to the skin), another popular way to use them is by pairing them with a carrier oil. Applying oils with a carrier oil (such as fractionated coconut oil, grapeseed oil, avocado oil, or EVOO), is used for dilution and prevents the oil from evaporating.Massaging your oil or oil blend into the skin enhances absorption by increasing the blood flow to that specific area, helping the skin more readily absorb the oils compounds. Diluting your oils with a carrier oil is an ensured safe way to use them, especially with children and babies as these oils are very potent. Plus, you’ll make your oils last much longer by using a few drops with a carrier oil rather than many drops of your essential oils. The way I was introduced to essential oils was through topical use! I was heading out for a run and my mom had a roller ball of peppermint oil and rubbed a little onto the nape of my neck. It was a hot summer day but I felt the cooling effects of the oil on my neck for miles and I was sold! Please note: It’s important to be careful not to get oils in your eyes, and citrus oils should not be used on the skin when going into the sun or you can burn! dōTERRA does a great job of showing which oils are safe to take internally by printing a supplement label (looks like a nutrition label) on the bottle. Again, using a brand you trust is crucial when ingesting essential oils. Just as they are quickly absorbed into the blood stream through the skin, these oils are delivered to all organs (including the brain! ), and metabolized by the liver and other organs. It’s important to follow proper dosing recommendations when using your oils internally. Generally this is 1-5 drops every 2-6 hours for an adult (depending on the oil) and no more than 25 drops per 24 hours. There are a few ways to ingest oils; 1-2 drops under the tongue, in a gel cap like a pill, in teas/water, or food. Personally, I like creating gel caps when I feel a cold coming on with melaleuca, lemon, and On Guard, and many people put a few drops of lemon in their water throughout the day. Be sure to use glass or stainless steel glasses and straws when drinking with essential oils, never use plastic. When I was first given all the ways to use essential oils, I was a little dumbstruck. It’s intimidating to think of all the ways you can use them! I suggest starting aromatically, and when you have a specific need – bug bites, sore muscles, bruises, cough, etc. – look up which oils are best for that particular need and go from there. Bringing essential oils into your daily life is easy with dōTERRA by opening a wholesale membership account. There are two ways to do this; enrolling with you own custom order and the $35 enrollment fee, or ordering an enrollment kit which waives the $35 fee. An enrollment kit helps take the guesswork out of what to order and there are a variety to choose from, all packed with the most popular oils and products. *Your yearly renewal fee is $25, however you will receive a bottle of peppermint when you renew. Win-win! 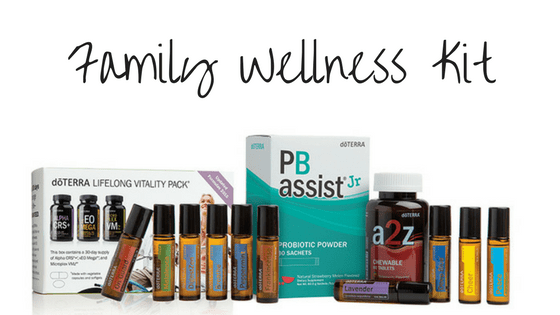 The 3 enrollment kits I recommend to those new to essential oils are the Family Wellness Kit, Natural Solutions Kit, and the Home Essentials Kit. You’ll save $92 off retail with this kit that includes 10 ready-to-go roller balls of their most popular oil blends that do everything from boosting your mood (Cheer Touch) to soothing sore muscles (Deep Blue Touch) and everything in between. There’s more than oils in this kit, you’ll also get dōTERRA’s Lifelong Vitality Pack and PB Assist Jr.! For more details on this kit click here. 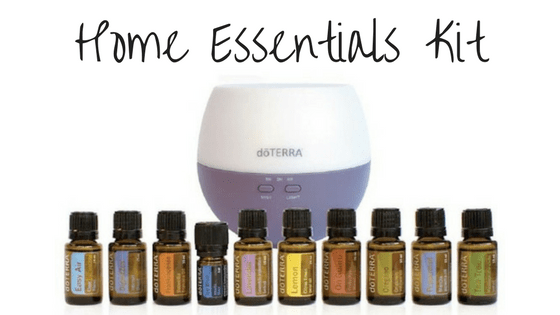 Save $86 off retail and get your home acquainted with the 10 most popular oils dōTERRA offers, PLUS their Petal Diffuser that runs up to 4 hours! This kit is perfect for those who are ready to jump into using and diffusing essential oils in their home to keep their family healthy, and create a cleansing and relaxing environment. For more details click here. This ultimate package saves you $220 off retail and is the most popular kit. It’s not surprising since it has everything you need to naturally overhaul your family’s wellness and assist your healthy living goals while boosting vitality. The oils included are those that specifically support a healthy immune system, increase focus and relaxation, assist in restful nights, and encourage healthy muscles and joints. Also included is the entire On Guard collection, dōTERRA’s immune boosting line, Deep BlueRub, and the Lifelong Vitality Pack to name a few! If you’re ready to jump in and revamp your health and home, this kit is for you! For more details click here! If you’d like to chat with me in more detail about dōTERRA and they best way to get started for you, email me at Samantha@simplywellcoaching.com and let’s set a time! Ready to order? Go to https://www.mydoterra.com/simplywellcoaching and get started! Click “Join & Save” on the top navigation bar. 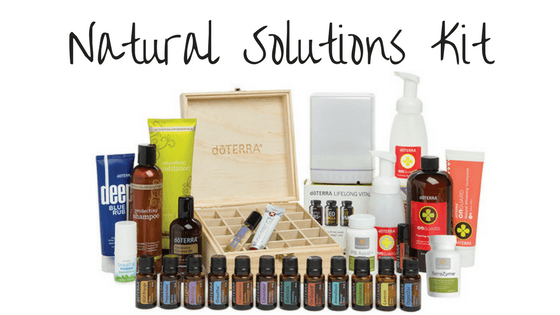 Wholesale Customer – If you only want to purchase and use doTERRA. Click “Join dōTERRA” at the bottom of the page. Select your language and country. Select which membership option you would like, remember, you can upgrade for free at anytime. Fill out your basic information. My ID number should be filled in; 2779522. Select your enrollment kit to waive the $35 fee, or create your own order of products. Click “View total”, enter your card number and process!